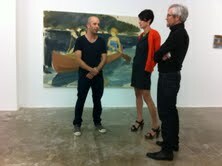 From left to right: Gideon Rubin, Beth Greenacre, Ed Greenacre at Rokeby. YG: How do you choose your artists? I’m interested in something you said about working with particular generations of artists – artists that have, in a sense, grown with you. BG: Prior to having the gallery I worked for a foundation that supported young emerging artists that were coming out of university. We gave them a platform on-line. It was the first on-line space for artists. YG: What was the foundation called? BG: I set it up with David Bowie. It was called Bowie Art. I also curated a number of exhibitions with those artists in physical time as opposed to on-line. A few of the artists I met through the foundation we now work with. YG: What interests you about the artists you chose to work with? BG: I think there’s got to be some personal interest for both Ed and I – being drawn to the work or the practice, and we’re not media specific. We’re interested in work that addresses contemporary concerns. With Michael Samuels for example I’m really interested in how his work relates to modernism. YG: I’ve noticed a very critical relationship to modernism in the UK, especially in object-based work. I think here of Bettina Buck. BG: Bettina Buck and Ian Pedigo – looking at ‘un-monumental’ sculpture as it were. I think with most of the artists we work with there is this conceptual concern but it’s not wholly conceptual. It’s an emotional marrying of the two and I’m interested in that territory. Bettina Buck. In Shape In Control, 2009. YG: It seems to me that a lot of the work you show is quite sensory. Some of the artists are really interesting in terms of how you access the work. There’s a sense of operating in ways that are very emotional, raw and tactile, and there’s a sense that you can’t really articulate. I find this really interesting especially coming from a background (South Africa) where the relationship between art and politics dominates. BG: Well if you think of somebody like Leung Chi Wo who is Hong Kong based. Some people could argue that the work is political with a small ‘p’ I guess. He’s very much interested in his geography as a locus and how he positions himself. How other people position themselves. But also postcolonial concerns – the experiences of his generation. He’s looking at his immediate environment and his immediate history but there’s always a poetic twist with his work. He spends years researching certain topics. And will accumulate all this information and documentation. But it’s never really dry work. There is always that kind of personal interpretation that his work allows in a really generous way I think. Leung Chi Wo. We must construct as well as destroy. 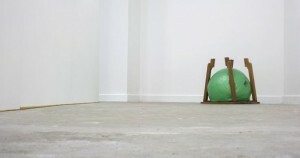 Installation image, 2012. YG: Another thing that’s interesting is that you work with artists from other parts of the world as well as artists who are rooted here. There’s that rootedness in terms of British landscape traditions. I really enjoy that and that question of what it means to paint now. These traditions are so omnipresent and weighted. 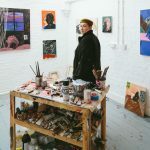 How do artists situate themselves in relation to them and what does it mean to be a painter now? BG: Gideon Rubin talks about that a lot. The new paintings are becoming more and more abstracted – or the spaces in which the figures are placed are. These spaces are almost timeless. It’s like space and time have collapsed completely. 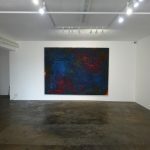 But still he gets that incredible balance between representation and abstraction. Gideon looks a lot at art historical figures. He’ll always go back to Velásquez, who was painting in that kind of deadened space in which figures appeared. I think Gideon’s looking very much at that and the physicality of the paint. And what it is to represent somebody. 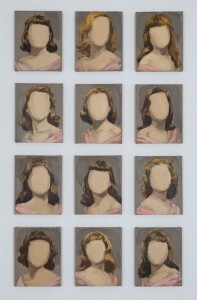 But also conceptually, he uses figures and photographs, found photographs that he has no relationship with whatsoever. Again asking what it means to try and represent something today. He’s also looking at technology, recent technology and how that has a relationship to painting. Gideon Rubin. Class of 1947, 2012. 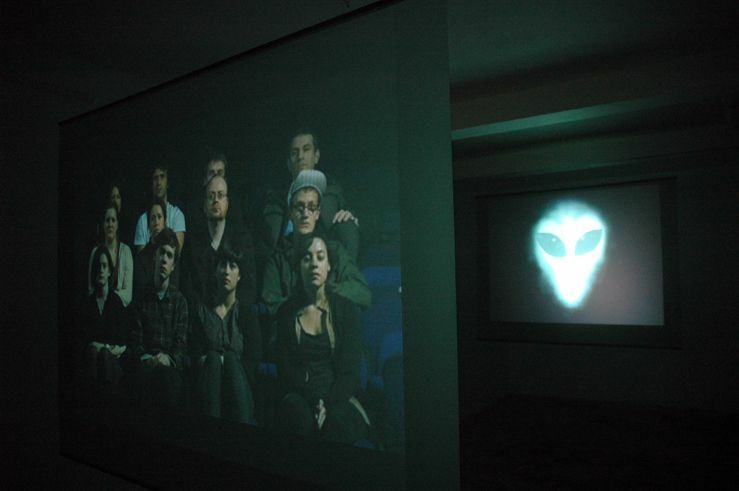 YG: A few of the artists you work with seem interested in questions of time and virtual space and technologies. The WITH collective is really interesting: is it real or isn’t it. Doug Fishbone is very intriguing: the way in which he just inserts himself in his film Elmina, shot in Ghana and adopting Ghanaian film conventions. BG: Yes that was a hugely successful project. I’ve known Doug since he was at Goldsmiths. That project was really interesting to work with. It was huge. I’d never worked with an artist on a feature film before. It took a lot of co-ordinating and talking. YG: I also see a lot of humour in the artists you work with – a play on perception too. BG: I think that with a lot of the artists we work with there is that nice dark humour. Somebody like Mathew Sawyer, Sam Dargan as well. Obviously Doug Fishbone. Doug uses humour as a device I think, whereas in Sam and Mathew’s work the humour is kind of under the surface. Doug Fishbone. Untitled (Hypno Project), 2009. YG: What role does performance play in the artists you represent? BG: Doug uses performance a lot in his practice – his famous monologues. Conrad Ventur who we’ve worked with for a number of years is very much interested in performance, and the history of performance especially in the US. 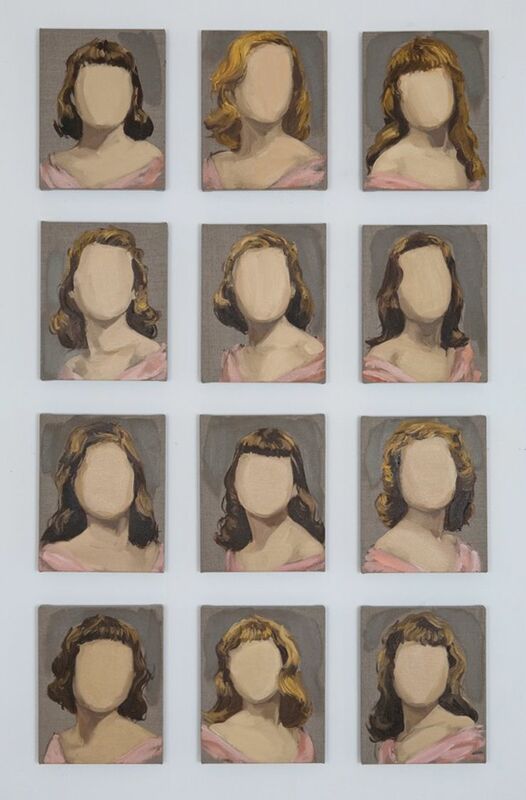 We showed a work called 13 most beautiful in which he re-visited 13 of Warhol’s original screen-test subjects. The opening of The Tanks is really interesting, and the ways in which performance differs between the UK and the US. Conrad Ventur. Screen Tests, 2009. Raul Ortega Ayala has done some beautiful performance – He is Mexican (Conrad and Doug are both American). Raul performs in the sense that he places himself in situations covertly. He creates these very sensitive performances. For his recreations of the last supper he will do all of the cooking and the washing of each person’s feet. It’s spectacular visually but also emotionally really quite special, a very intimate experience. Raul Ortega Ayala. 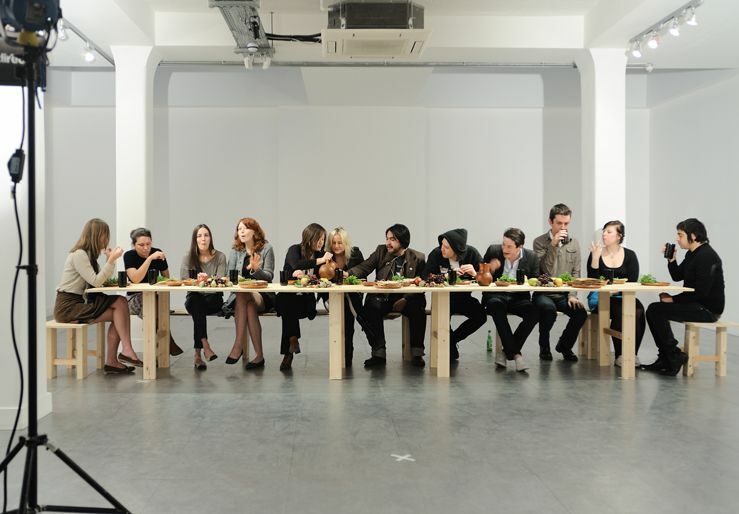 The Last Supper, 2009. Photographed by Thierry Bal. Another work Raul did was to recreate a meal that was from a found photograph of Windows on the World, the restaurant at the top of the World Trade Centre. It was a dated photograph, I think late ‘70s. Raul worked very closely with a chef to recreate the dishes that were in the image. Everything was served on utensils that had the potential to be made out of the debris from the world trade centre. He discovered that a lot of the debris was sent off to India to be made into pots and pans. He did exhaustive research, followed the debris, found the factory that was potentially using it. A lot of people were quite anxious about how they would physically and emotionally react to the work, but it was very celebratory, very joyous and that’s something that Raul has always achieved with his performance. It’s all about celebration and conversation. It’s all very collaborative. YG: I saw the world trade centre piece, and it was very uncomfortable. Is this a wake? Is it appropriate to eat this food? You’re drawn into the work in a bodily, emotional way and it’s very challenging. BG: Bettina Buck is a performance artist to a certain extent – in the very physical acts that she carries out. And it’s important that’s she’s female lugging 100kg of stone around. A lot of her work is unseen labour. She’s just completed a very beautiful video where she lugs industrial foam through a very English landscape (the foam is her height and body weight). And you can see her pause, having to stop, sit down and take a breather. And at one point a man who’s walking his dog comes and helps her. I think there are lots of different strata of performance and it’s interesting for me to have a dialogue with all those different elements. 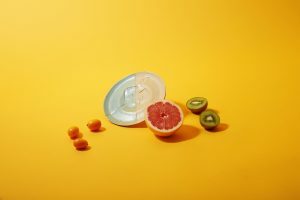 This entry was posted in INTERVIEWS and tagged Beth Greenacre, Bowie Arts, contemporary art, David Bowie, Doug Fishbone., Gideon Rubin, hong kong art, Leung Chi Wo, london art, Mathew Sawyer, Raul Ortega, Rokeby art gallery, Sam Dargan, The WITH collective, Velazquez. Bookmark the permalink.